← USA: Marijuana Uptake/Use WILL NOT INCREASE under legalization??? 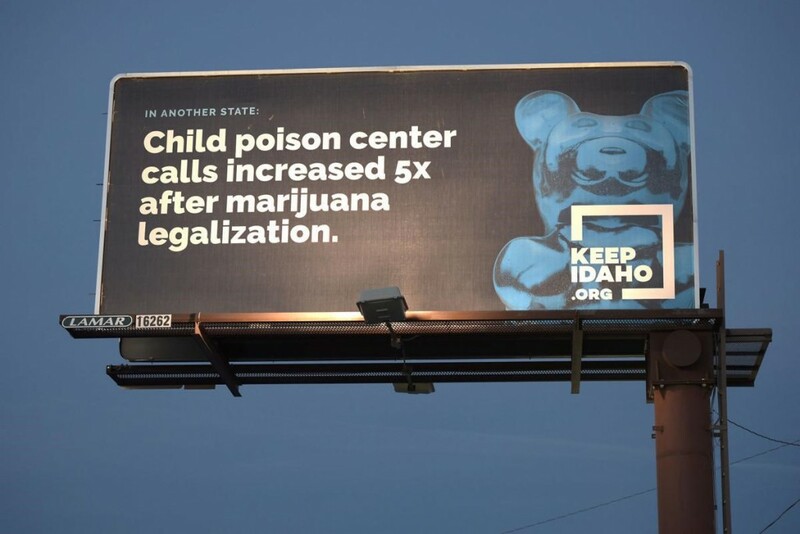 USA: Idaho Telling the Truth on Weed! A Keep Idaho campaign sign against legalization of marijuana is displayed near the intersection of 2nd Street South and Northside Boulevard in South Idaho. Cars drive past a Keep Idaho campaign sign against the legalization of marijuana on 16th Avenue South in Nampa Friday night. 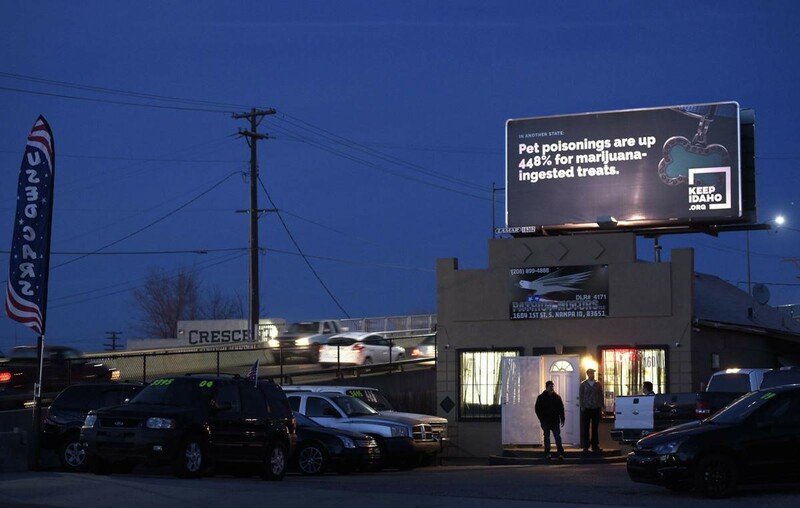 A Keep Idaho campaign sign against legalization of marijuana is displayed by Durobilt near the intersection of 2nd Street South and Northside Boulevard in Nampa Friday evening. Keep Idaho says on their website that “marijuana-related traffic deaths when a driver was positive for marijuana more than doubled from 55 deaths in 2013 to 123 deaths in 2016,” and cites the Colorado Department of Transportation 2012-2016. The campaign also says that “seizures of Colorado marijuana in the U.S. mail has increased 914 percent from an average of 97 pounds (2009-2013) to 984 pounds (2013-2016) in the four-year average that recreational marijuana has been legal,” citing the U.S. Postal Inspection Service, Prohibited Mailing of Narcotics.